Apple Yorkdale currently has part of the store blocked off inside, with construction underway on what looks to be Town Hall features for the retail location in Toronto. Most likely the Yorkdale location is gaining store features seen in Apple’s newer locations. 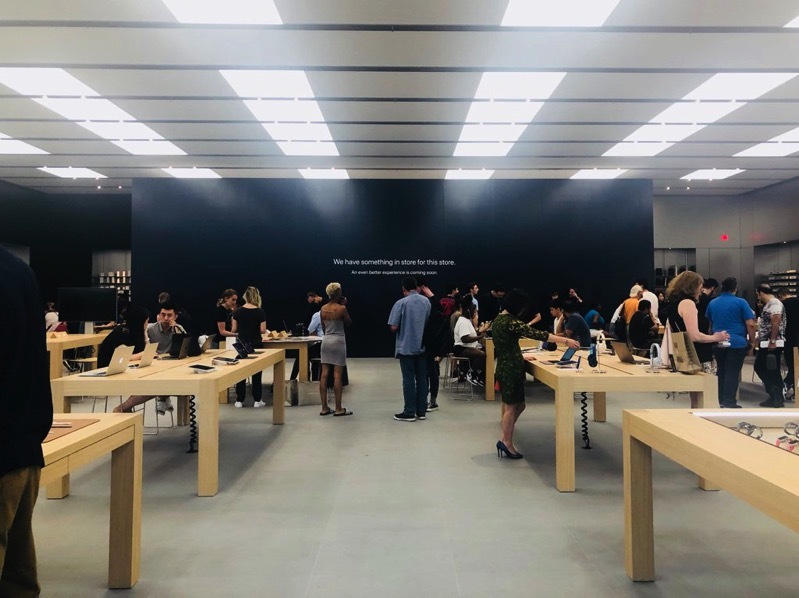 This particular section of the store could be what Apple describes as The Forum, which is a gathering place for customers to partake in “Today at Apple” sessions and other events, supported usually by a 6K video wall. If you pass by the Yorkdale Apple Store frequently, keep an eye out on what’s happening and be sure to share updates with everyone below in the comments.